The Illinois General Assembly amends the Criminal Code of 2012, SB0607. The sale, manufacturing, purchasing, possessions or carrying of a switchblade knife is now legal for a person who possesses a valid Firearm Owner’s Identification Card or an entity engaged in the business of selling or manufacturing switchblade knives. 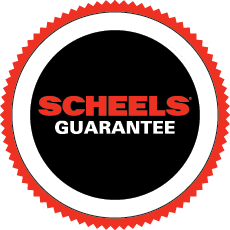 If you are interested in learning more on automatic knives stop in and speak to a SCHEELS Expert. We carry a variety of brands that have automatic knives in their lineup found in-store only. These brands include Benchmade, Kershaw, SOG, Buck and Gerber. Always review local laws and regulations within your state pertaining to the legality of automatic knives.